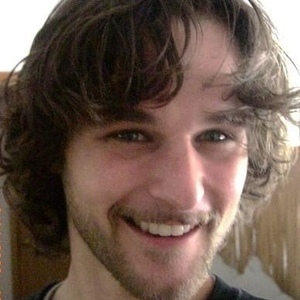 June 2011—As an "impact investor," one of the true and unanticipated delights that has come with our association with the Savory Institute and our management team led by experienced Holistic Management practitioner Jim Howell has been the amazing quality of the people the project has attracted. 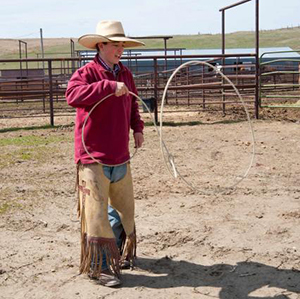 A "cowboy ethic" is still alive and well in America, and no doubt throughout the world. It is a combination of the salt of the earth values of integrity, fairness, and hard work, combined with an enlightened ecological awareness and commitment to care for the land and the wildlife. Some prefer the term "pastoralists," the vast grasslands equivalent of the permaculture farmer. As you will see from the comments below, Grasslands is building a team of truly great people making it happen every day on the ground. Some quite young, some less young. Like we see with the new breed of organic farmers, there is great hope in the enthusiasm of the next generation to be smarter than us old folks. Such hope is made a reality by our young team working on Grasslands ranches this summer. I imagine this can be true in finance as well some day, when finance rediscovers its proper purpose in the economy. This is likely to come with the next generation as well, rather than from mass epiphanies in the old guard. I consider it a real privilege to know my Grasslands colleagues, and to have the opportunity to work with them and learn from them in the years to come. And I don't just mean learn about managing cattle! This is the kind of "value" that does not show up in the quarterly statements of one's investment portfolio. By connecting one's investments with, and in the process building life experiences and careers for, real people doing real wealth creating work connected to the land, an investor experiences a profoundly different meaning in the word "value" than experienced when simply picking a clever hedge fund to invest in. This is what we mean by the "purpose of capital" at Capital Institute. At the time we posted our first Grasslands field study in December 2010, Grasslands LLC managed 14,000 acres of South Dakota pastureland (the BR and Horse Creek ranches) acquired by Armonia and Level 3 in April 2010. The start-up had not been able to achieve the critical mass of grazing cattle required to meet all of its financial targets, both due to the late start in the season, and its lack of a track record with potential local custom grazing clients. 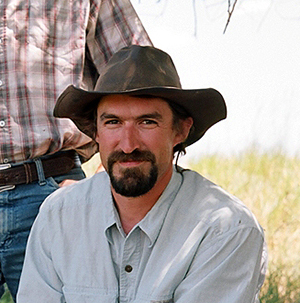 Grasslands ranch managers were also riding a steep learning curve as they worked to be better attuned with the unique forage characteristics of their newly acquired properties. In late 2010, Grasslands was also seeking, as a triple bottom line enterprise, to incorporate monitoring protocols that would objectively measure its financial, ecological, and social progress. Grasslands also planned to acquire additional properties to achieve scale and create diversification so that it could prove its model in other locations. The hope was for its ranches to include a balance of both growing season and winter country allowing cattle to be grazed year round. The longer-term goal continues to be to build a production model that will take ecologically enhancing cattle, harvested directly off of biodiverse, native prairie, all the way to the final consumer. Grass-fed beef build ecoystem resilience, creating a model for grasslands management practice throughout the world. Much has happened at Grasslands since our first field study was published 6 months ago. In early 2011, Grasslands purchased a 38,620-acre ranch on the southeastern plains of Montana to add to the Grasslands LLC managed portfolio. Eighty five hundred acres were deeded properties, and 30,120 acres were public Bureau of Land Management and state grazing lands (officially known as Montana State School Trust Lands). Named Cinch Buckle, due to the unique shape of the property, this ranch sits on the border of Powder River County and Carter County, roughly 27 miles due east of Broadus, MT. The addition of the Cinch Buckle property enabled Grasslands, LLC, to fulfill three strategic goals: to scale its impact in the Northern Great Plains, incorporate a landscape with different characteristics and challenges, and grow the team of holistic ranch managers. The Cinch Buckle Ranch sits in an important wildlife area known for Pronghorn Antelope (the world’s fastest land mammal), mule deer, vast numbers of birds, and other important species. The Ranch is already in good ecological condition, but the application of holistic management will serve to increase biomass and biodiversity, improve the hydrological cycle, and boost the ecological capacity of the land. With the purchase of the Cinch Buckle Ranch by Armonia and Level 3, Grasslands now manages close to 54,000 acres in the Northern Great Plains. Thirty one hundred grass yearlings, 1520 heifers being bred for replacement stock, 1440 cow/calf pair, and about 80 bulls, for a total of about 6140 head of cattle graze on the land (not to mention three goats, 30 horses, and several dogs!). All 3 ranches are stocked to capacity this year with a few new cattle traders eager to get their cows fed through Grasslands’ holistic management process. Jones also notes that because Grasslands’ stocking rate last year was very light in relation to forage available, as it took time to convince ranchers to trust their cattle to holistic grazing practices, the impact and results on forage compared to the previous year has been modest relative to the potential looking forward. 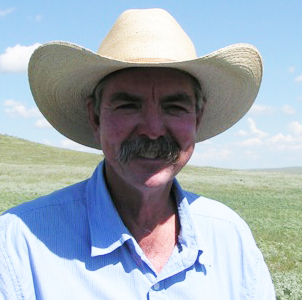 Jones maintains, however, that the biggest gains for Grasslands over the past year have been in knowledge and understanding of the ranchlands themselves. 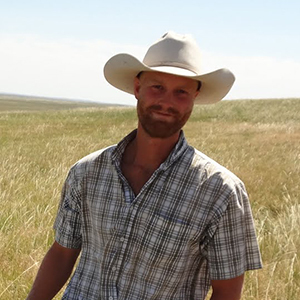 “We know what's over the hill, how the streams behave, what reservoirs hold up well, what paddocks provide better and/or worse quality (in context to all paddocks), how our labor could better be deployed,” he reports. Here the Grasslands Ranchers talk about what inspires them and what they struggle with in their daily lives, their insights into holistic management, and their understanding of how their work is contributing to the healing of the land and the rural communities in which they live. Click in each photo to read their stories.